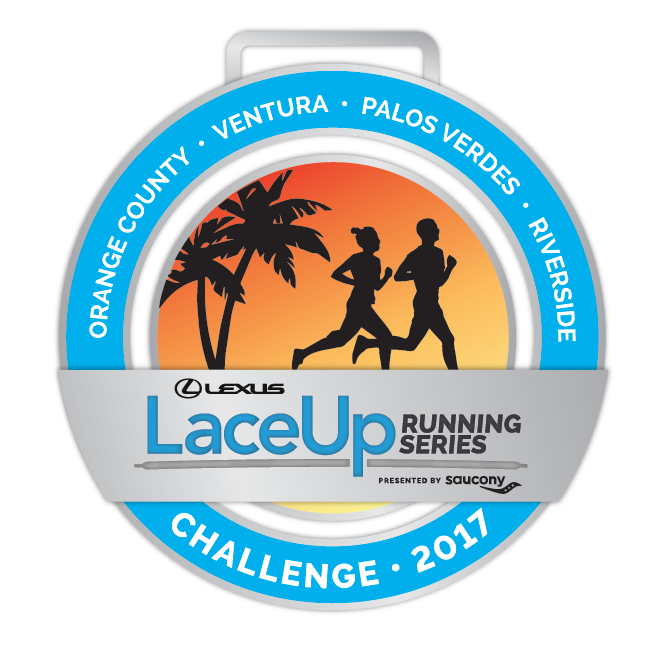 The Lexus LaceUp Running Series Challenge is for runners who want to race at all four locations (Orange County, Ventura, Palos Verdes, Riverside) during the 2018 season. **Discounts automatically applied. Runners must register for multiple races in one transaction to receive discounts. If you registered for a race before all race locations were open, please email info@laceuprunningseries.com to receive your discount code. 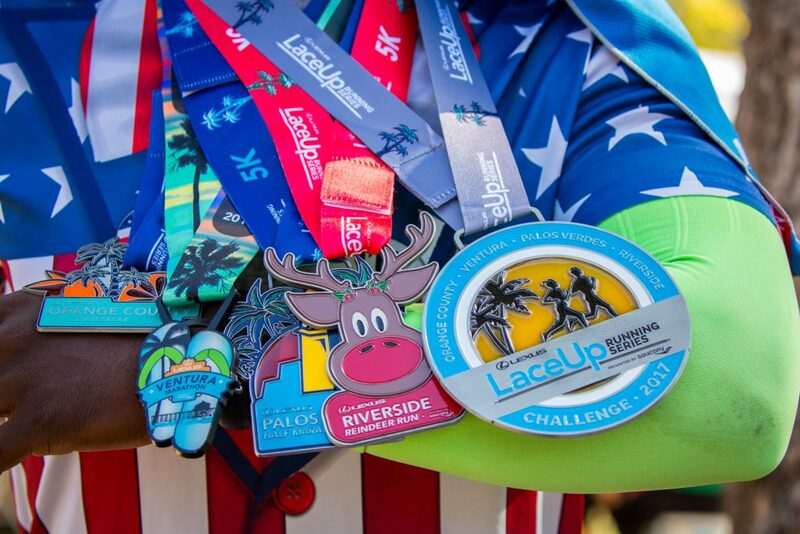 2018 Challenge Medal Design Coming Soon.